I've decided I want to start a new series highlighting my awesome ongoing monthly clients! I rarely blog, but I've realized that's a bit of a shame because I only get to share ~1/100th of the work I do with friends, family, and other clients. I shoot for a client - I deliver to the client, and maybe I'll post a photo on Instagram of the shoot. But I have so much work to feature and highlighting the clients that I shoot with on a regular basis seemed like the best way to do that! 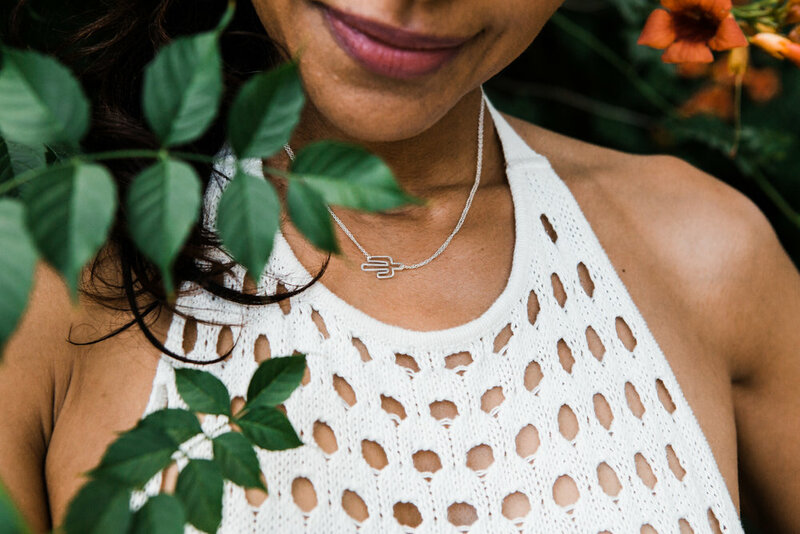 My client this month is Laura Elizabeth Jewelry, who I met through another client, Callie Kerbo of Honeycomb Creative Co. We've been shooting for Laura's Summer Line, which means all the bright colors and outdoor spaces. However, we also got to be a little moody with July's portraits due to the shooting location (in Laura's childhood home). I loved getting to play and manipulate light more than I usually do. Check out Laura's gorgeous jewelry below and on her website!